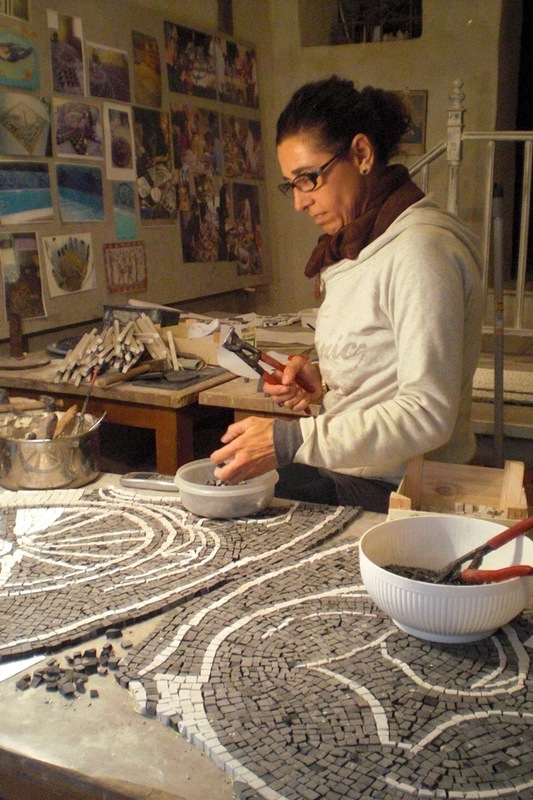 The Atelier Mondaino Mosaic began in 1996 from the collaboration between Milena Gasparini and Pierangelo Ottaviani. 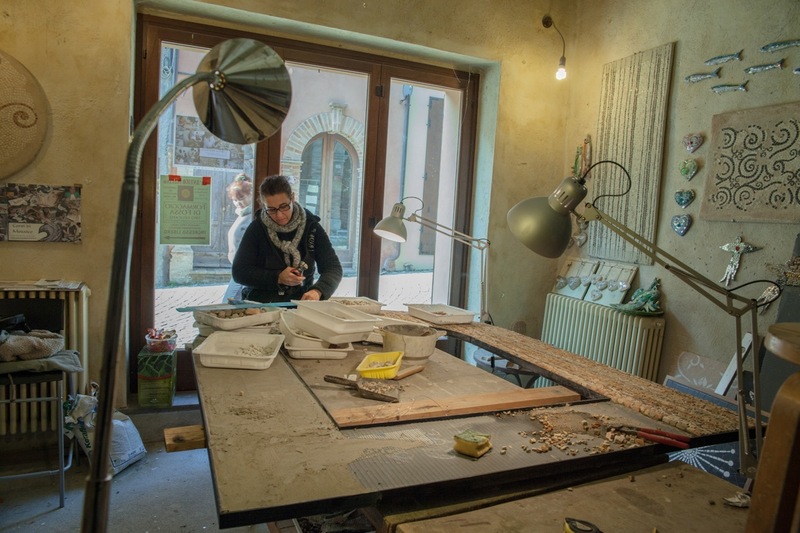 The workshop is primarily active in research and testing of functional and aesthetic solutions on the mosaic in the field of contemporary architecture. 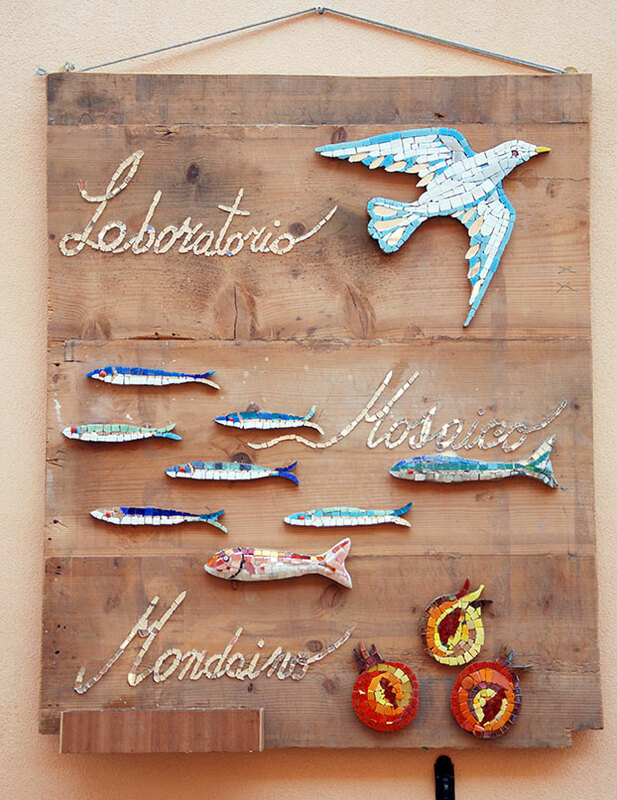 New materials and new uses offer unusual applications on walls and floors. 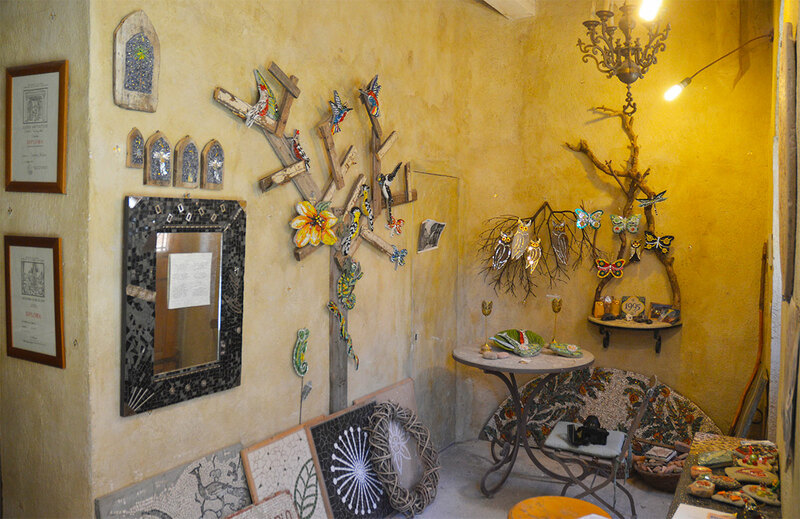 Since 1986 the Atelier specialized in the realization of many mosaics for decoration of interiors and outdoors in collaboration with architects and artists of design. Altomonte – (CS) construction of four lunettes with the title of ‘amphitheater. Panarea – (ME) realization of a floor mosaic in the Church of St. Peter. 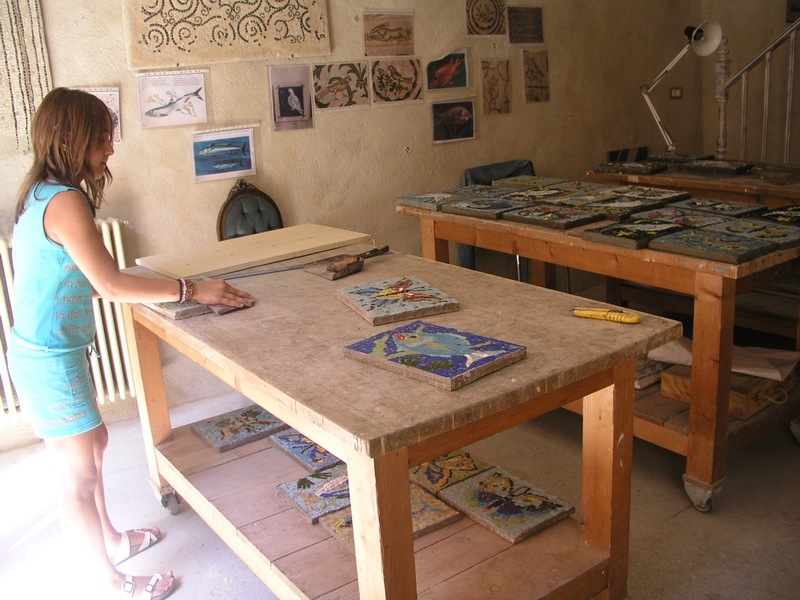 Panarea – (ME) making a mosaic memorial sea. Trevignano romano – (ROME) realization of a mosaic floor on Long Lake. Civitavecchia – (ROME) construction of a wall mosaic in the Church of SS. Peter and Paul. 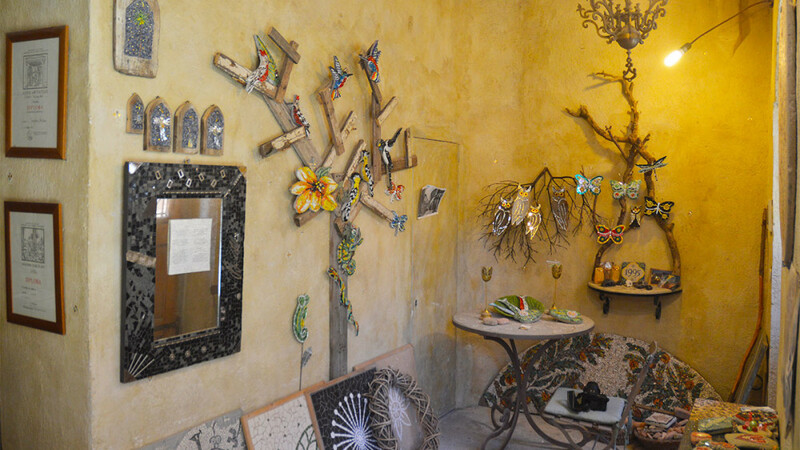 Montefalco – (PG) implementation, in the cloister of the museum’s. 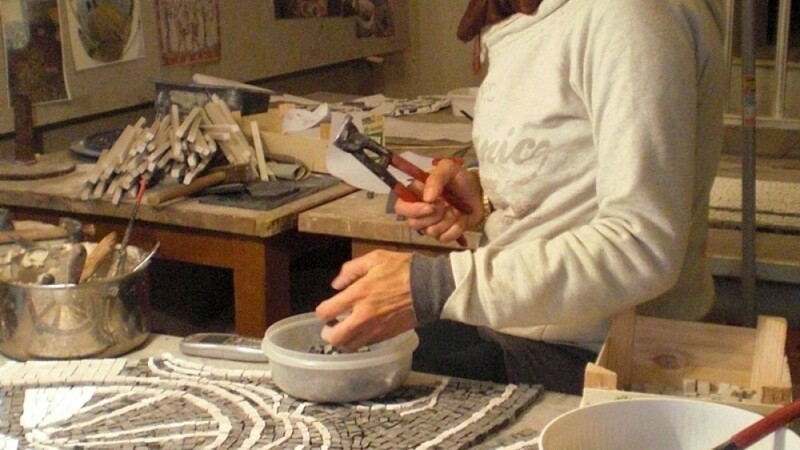 Francesco a mosaic on project of ‘artist Eliseo Mattiacci. 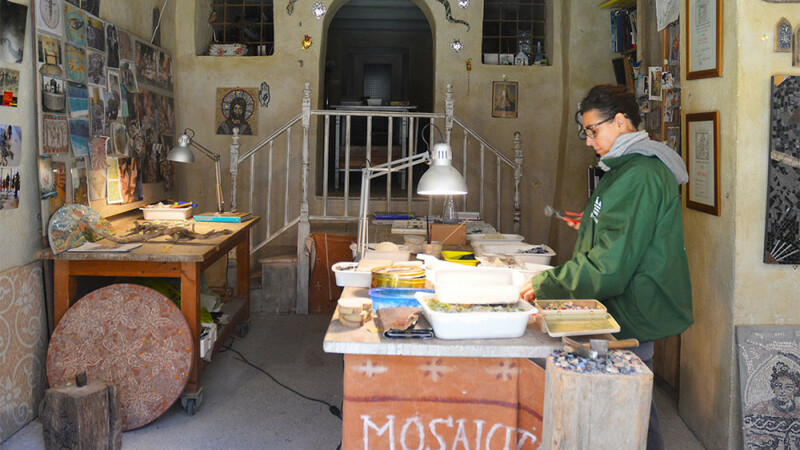 Lecce – construction of a wall mosaic in the church of Santa Maria dell’Itria. 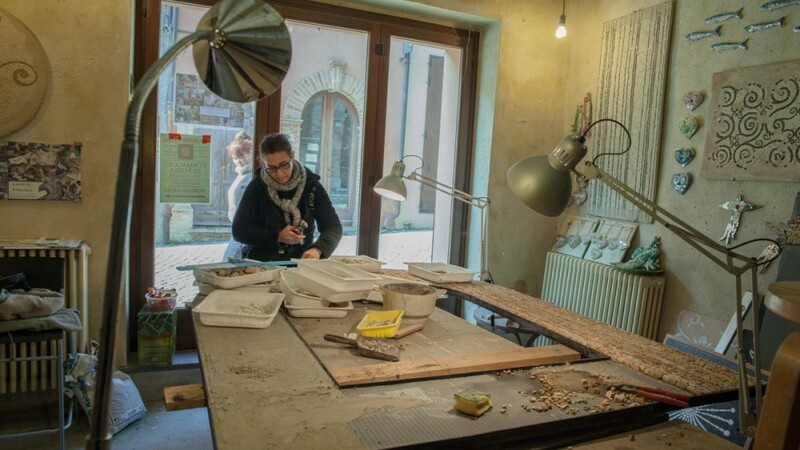 Misano Adriatico – (RN) construction of two lunettes mosaic on the two title pages of the church of the Immaculate Conception. 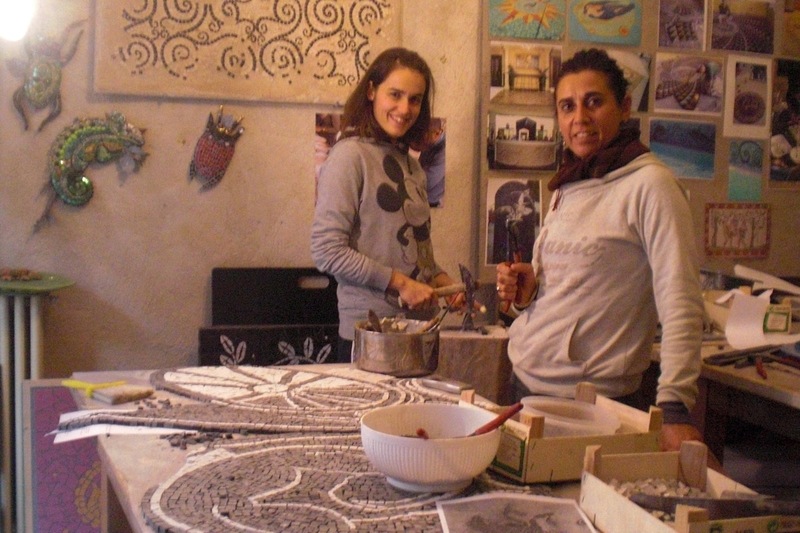 Isernia – construction of a wall mosaic in the sanctuary of peaches. 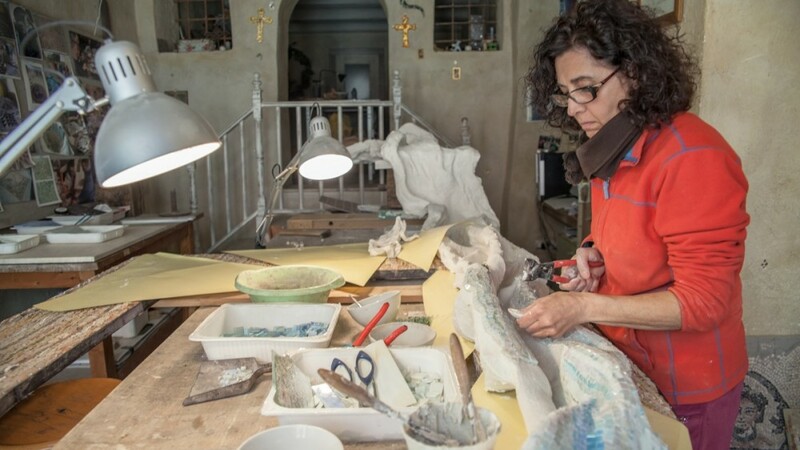 Giulianova – (TE) construction of a mosaic on the front out of the Sanctuary of Splendor. Salina (ME) carrying the emblem of the Harbour and the creation of municipal coat of arms located in the lobby floor of the City. 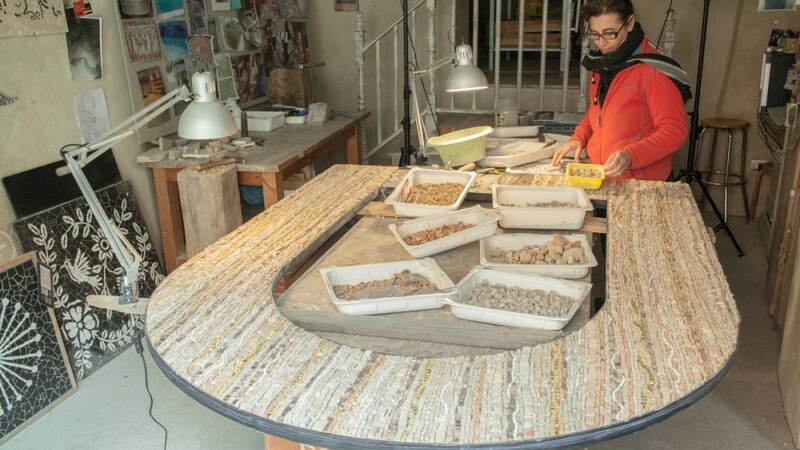 Paestum – construction of a floor mosaic at the ‘Hotel Villa Antica. 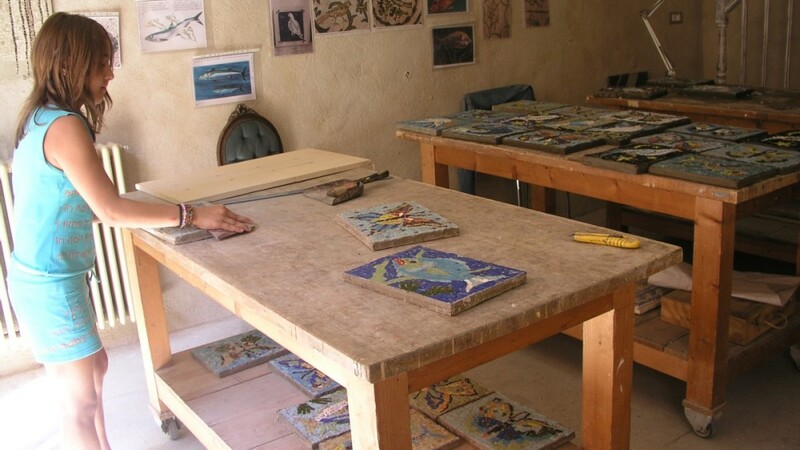 Lipari – (ME) construction of two mosaics for the municipal art gallery. 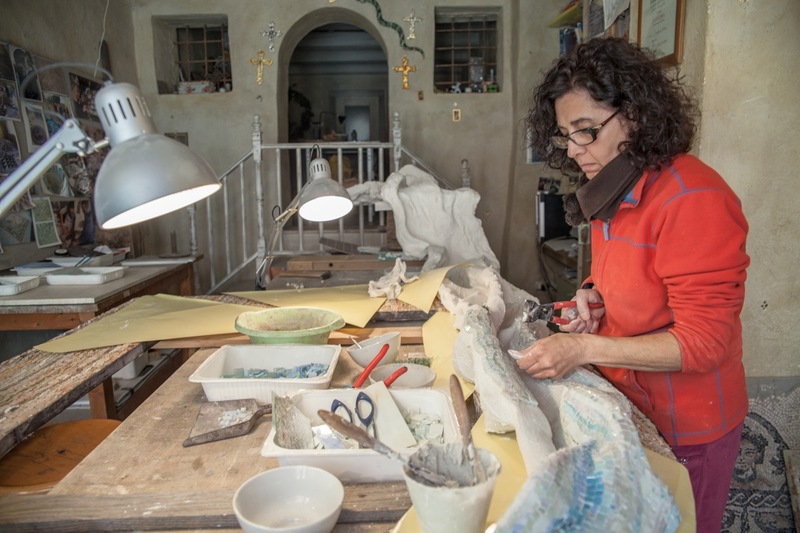 Messina – realization of a mosaic theme in the sacred cemetery of Porto Faro. Cattolica – realization of the emblem of the Palazzo Mancini, the town hall. 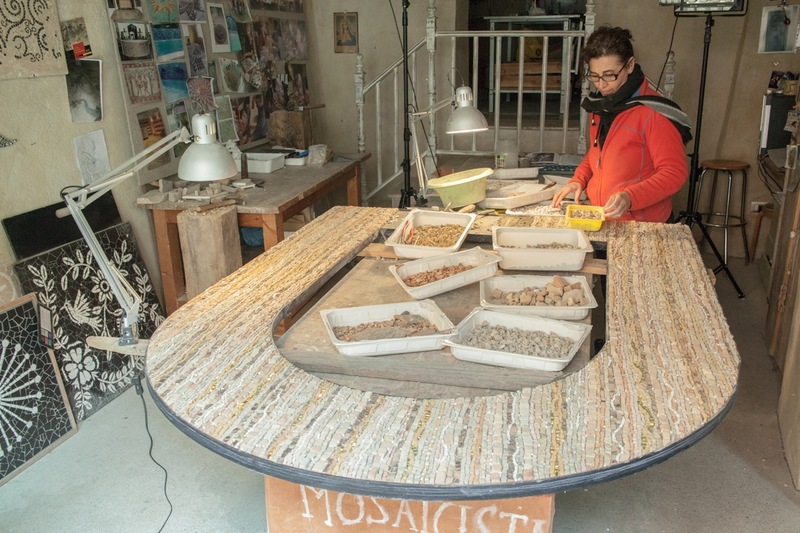 Cattolica – construction of a floor mosaic in the New Dock. 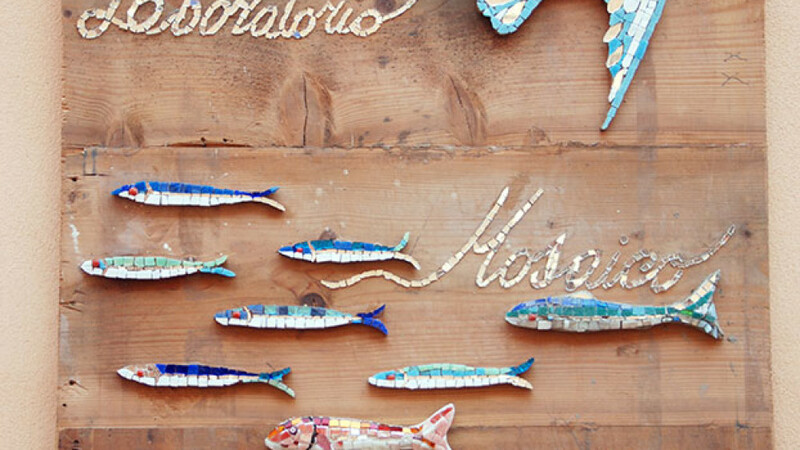 Cattolica – realization of the mosaic floor in front of the Nautical Club. 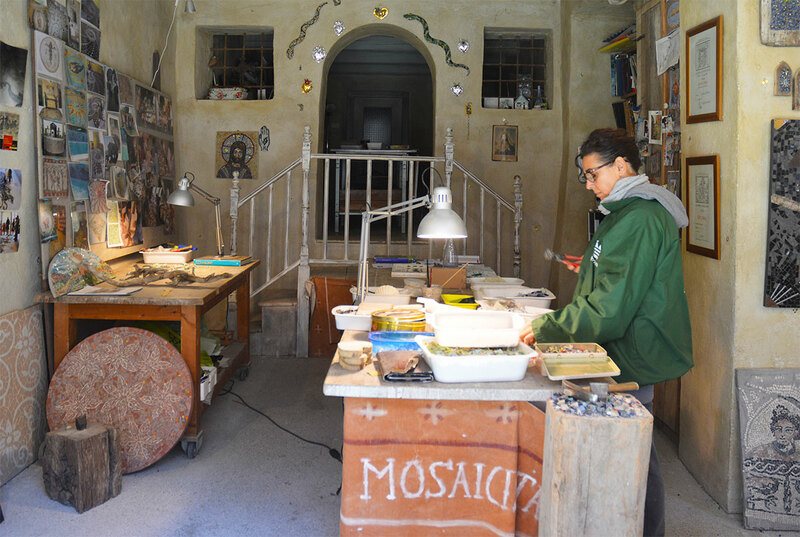 Otranto – construction of a wall mosaic at the entrance of the old Catholic Agimi. 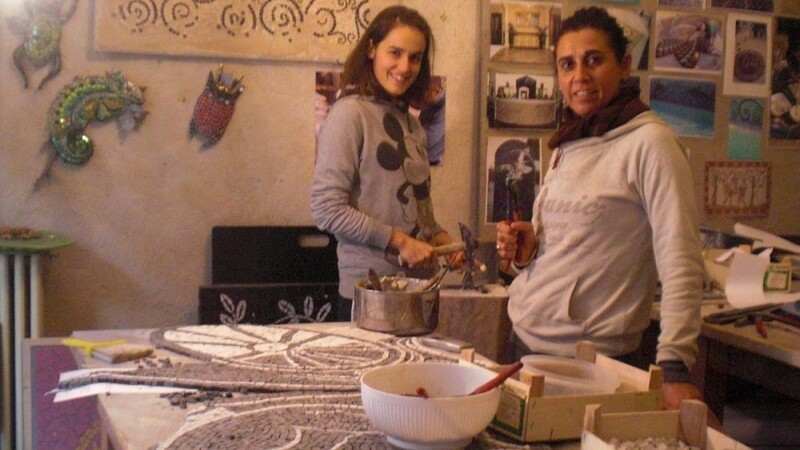 Valmontone – Rome – construction of a wall mosaic in the square of a hotel complex. Naples – altar – ways of the cross – decorative panels and decorative facade of the church of Santa Maria delle Grazie.